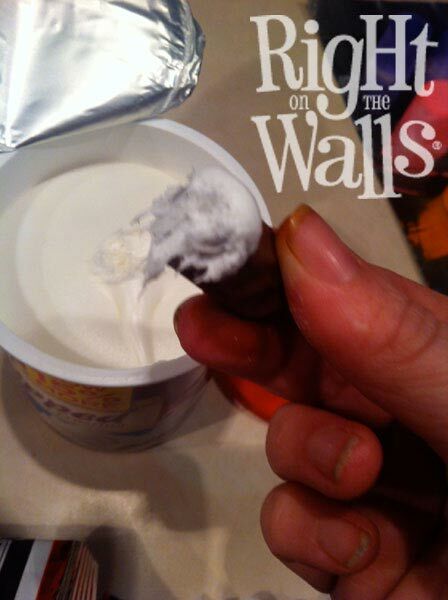 Now I know these treats have zero to do with wall decals … but, I figure some of you might enjoy a quick tutorial for such a unique, eye-catching treat! I wanted to know how to make these so everyone could celebrate Logan’s recent success at Cosmetology school. But sadly, there were no instructions that I could find anywhere online. Is it a SECRET? A MYSTERY? My brain loves a challenge — so, off to the cake store I went! I tried to choose a wide variety of food color sprays … the cake specialty store that I visited had about 20 different colors. It was so hard to choose! Make sure you pick large marshmallows — and then you should probably double-check that they aren’t squished. 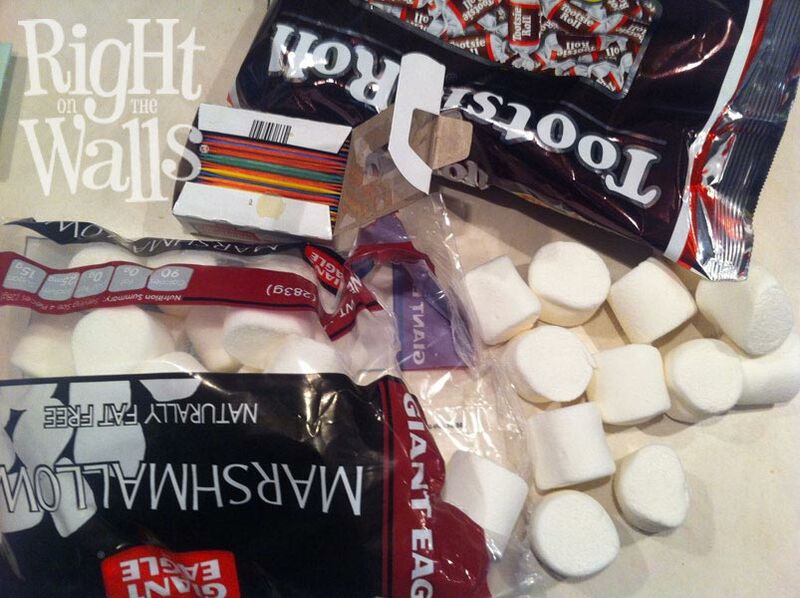 I dug through the assortment of bags at the grocery store to find nice, plump marshmallows! Dust off some of the powder covering on the outside of your marshmallows before spraying them to allow the food coloring to stick. Food coloring in spray form can go wide and far! Because of this I suggest using aluminum foil or wax paper to protect your countertops first. 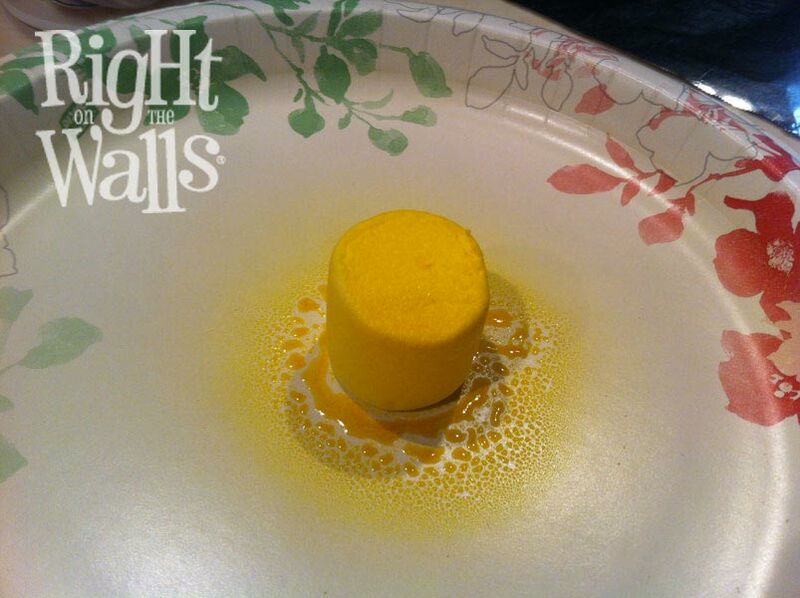 We sprayed directly on throw away paper plates on top of wax paper, trying to further contain some of the over-spray. Spray the food color with consistent pressure and move the plate in a circular motion to get nice full coverage on the marshmallows. 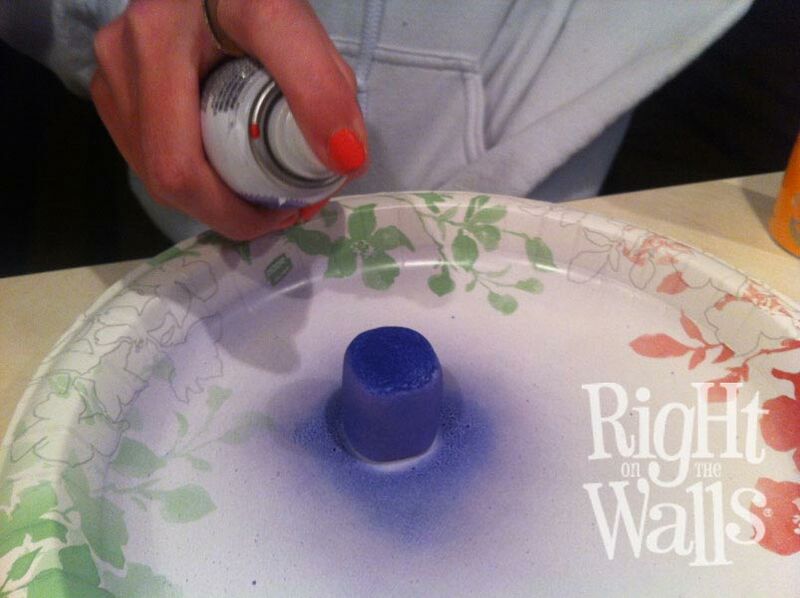 Be sure to spray the sides and the top thoroughly. 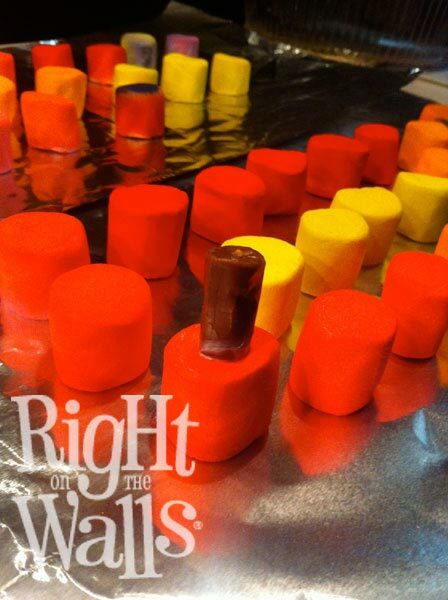 Spray food color on the remaining marshmallows until you have sprayed the whole bag. We set the wet marshmallows on aluminum foil to dry. Let dry for at least 30 minutes. 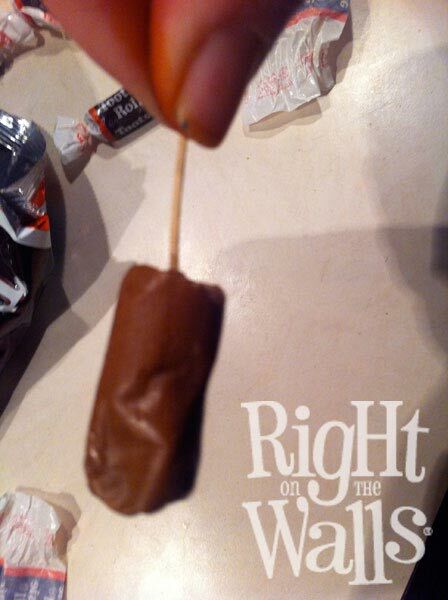 While you’re waiting for the marshmallows to dry, unwrap and shape your Tootsie Rolls. To shape them, rub back and forth in the palm of your clean hands to warm. 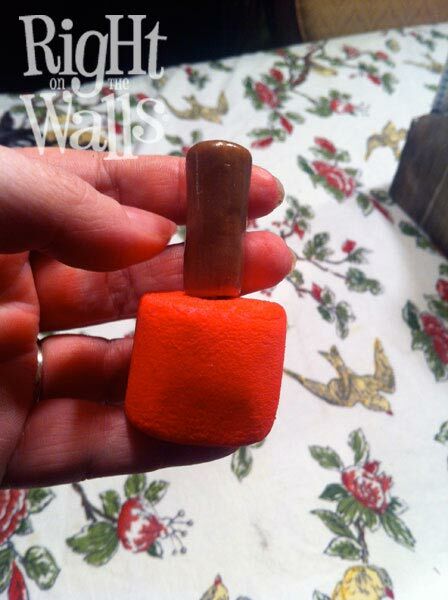 Once they’re warmed up you can mold them and smooth out wrinkles so they appear more nail polish lid-like. 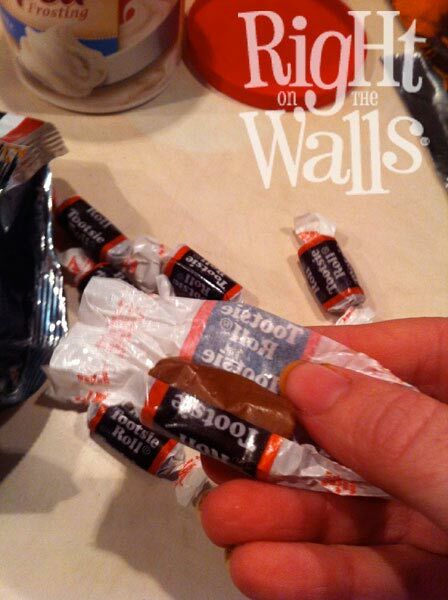 Insert a toothpick half-way into the Tootsie Roll and apply a small amount of vanilla icing to the bottom. The vanilla icing will help it stick to top of the marshmallow. 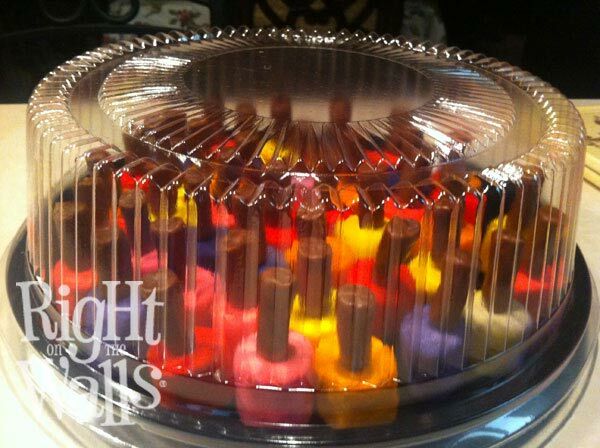 Are you loving these snazzy nail polishpartytreats, or what? Voila, it’s a full tray of nail polish treats! They turned out so well that I could hardly WAIT to take them to Logan’s school to celebrate! Let’s take a close-up look … they sure DO look like nail polish! A simple and easy treat! 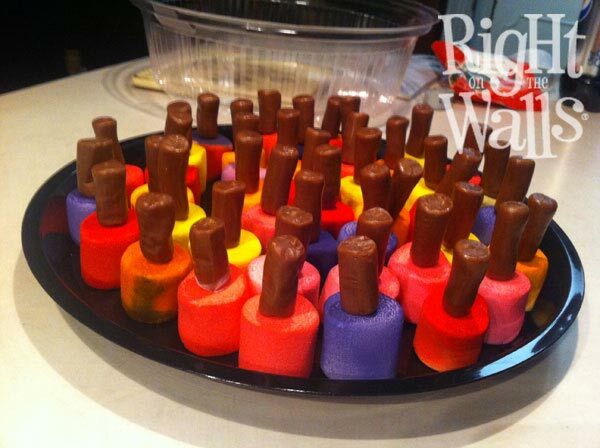 Can you imagine how COOL I looked walking into a room full of cosmetology students with a tray of edible nail polish? Let’s just say they love me there! Now it’s time to make your own. Be ready … because EVERYONE is going to ask you how you did it! Don’t forget to warn everyone there’s a toothpick in the lid before they take a bite! P.S. 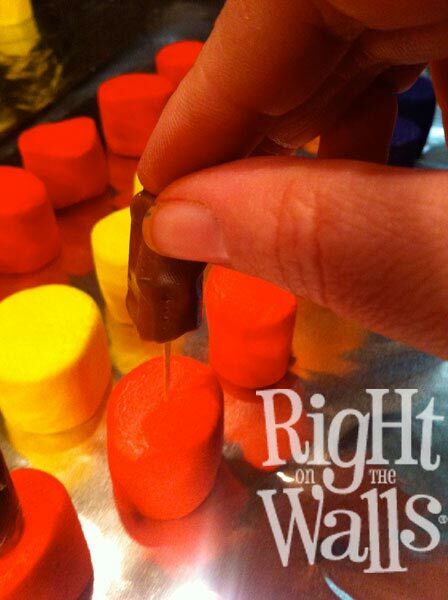 You can also make these treats by dipping the marshmallows in colored chocolate. 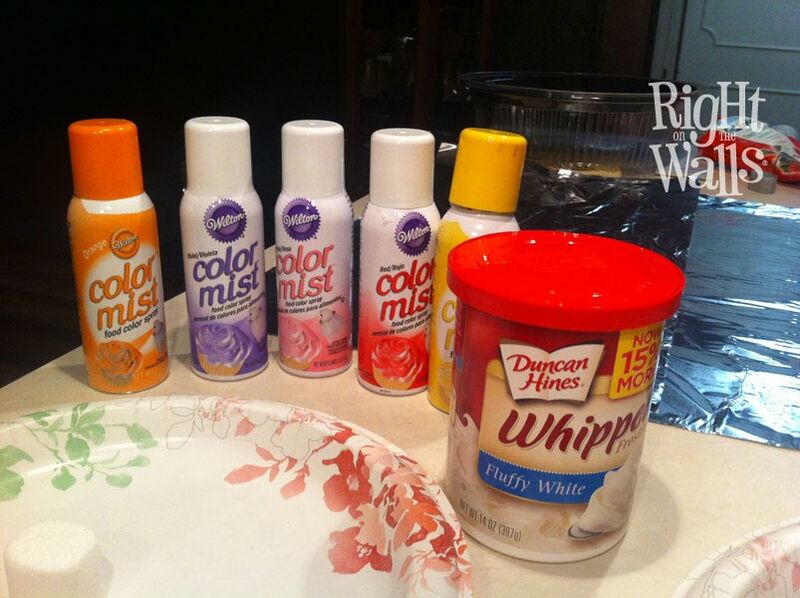 We prefer this spray on food coloring method … it provides a richer color, is less sloppy looking and much quicker!! If you have other ideas on how to make these treats, please let me know! Thank you for this!!! Finally instructions for this!!! Thank you for full instructions. Heading out to the grocery store to get the supplies. Hello! Those are very pretty !!! My only question is does the coloring mist have a aftertaste! Going to do these for my Daughter's birthday in June, I'm only doing pink and purple since her party is Paw Patrol themed and call them Skye and Everest's Pup Polish.